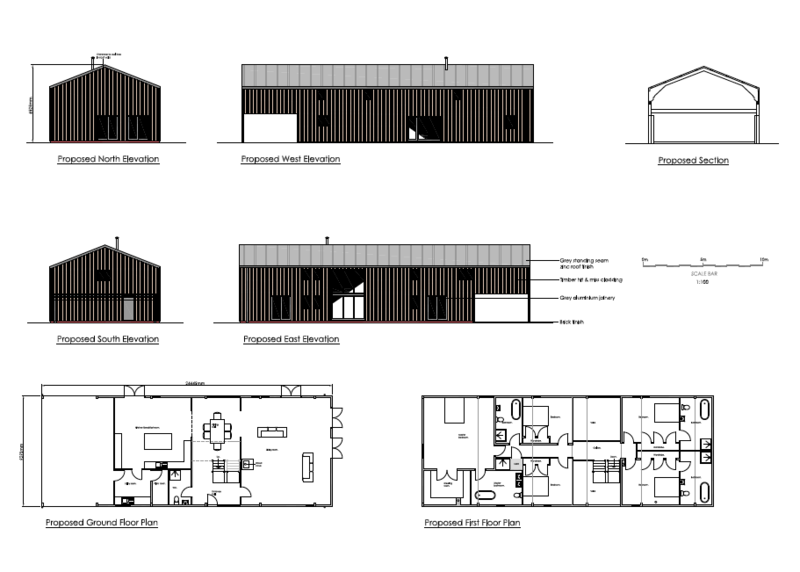 A site in Kent comprising a number of redundant agricultural barns has been granted planning permission for complete redevelopment via Class Q and Class R permitted development. The site now has permission for two family homes and for the flexible commercial use of one of the buildings. The site lies within Flood Zone 3 so we commissioned a bespoke Flood Risk Assessment which concluded the site was protected by flood defences upstream. Flood mitigation measures were however included in the plans which included raising the floor levels in line with Environment Agency guidance.